ASUNM Lobo Spirit, Student Activities and University Communication and Marketing (UCAM) worked together to host this year’s Lobo Day celebration on Friday, Feb. 26 in the SUB Atrium. Students decorate t-shirts designed by University Communication & Marketing. Lobo Day is the annual celebration of The University of New Mexico’s birthday. 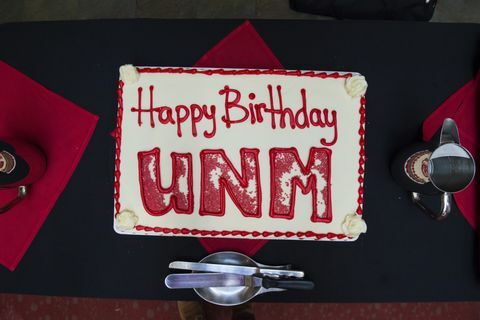 UNM was established on Feb. 28, 1889 making the University 127-years-old. The festivities at Lobo Day included t-shirts that students were able to draw on and decorate, postcards, a photo booth and refreshments. The annual atrium photo was also taken, which will hang in the Student Union Building by Chick-fil-A.